Click Settings (located on the right). 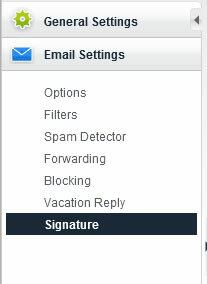 Click Email Settings > Signature (on the left). 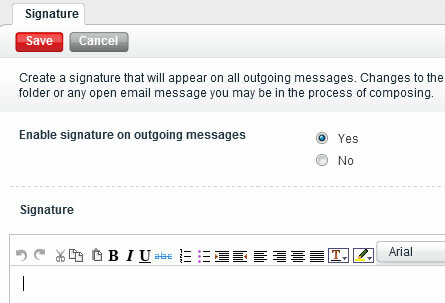 Enable / disable the feature and add a signature if desired then click Save.